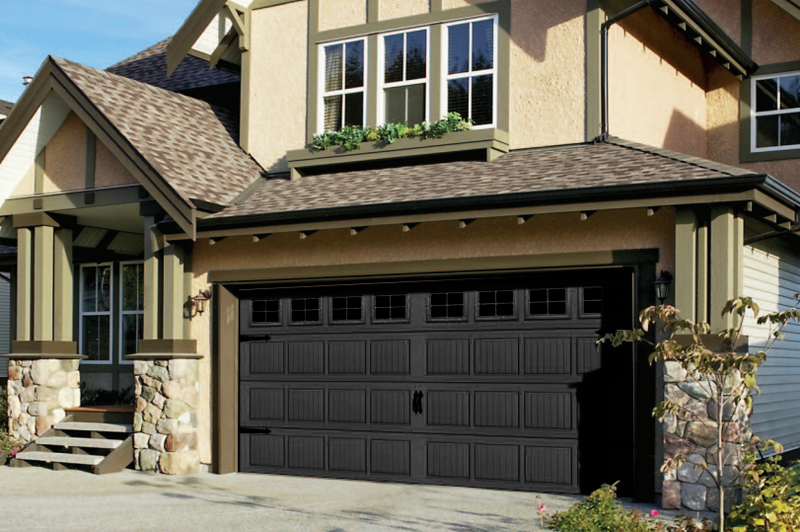 While the grey door is nice, compared to the black we think it doesn't quite have the same impact as the contrasting black on a grey facade. The other door in available in black is the Windemere, by General Doors Corpration. 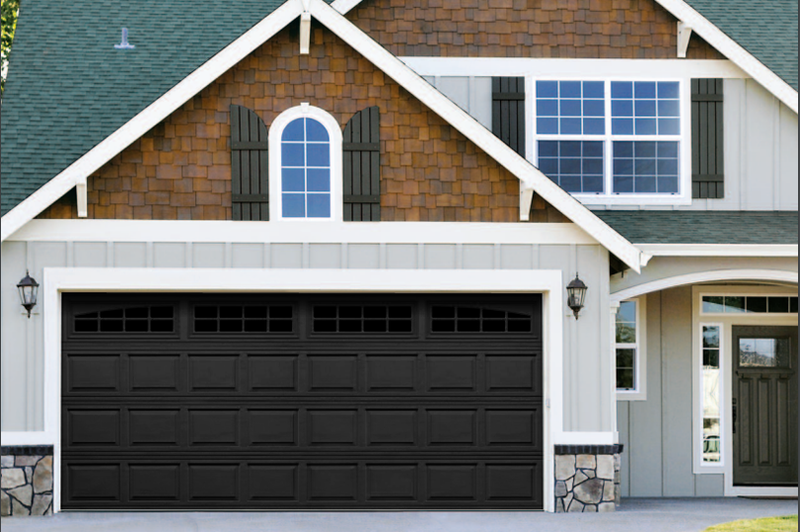 This is a steel carriage house style garage door that is available in nine colors, now including black. 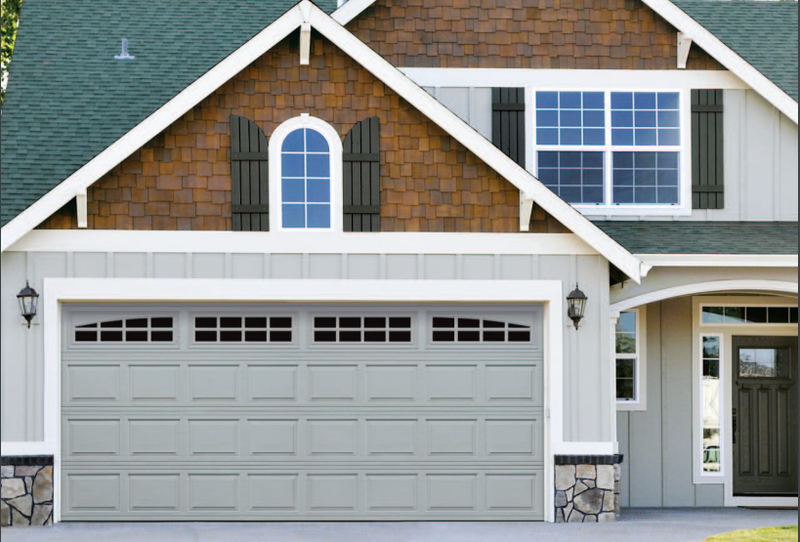 In any colors these doors are an excellent choice, chosen by many homeowners for their construction, reliability and ease of maintenance. Both doors are available and ready for installation.